A Superior Ensuite room which is en-suite, centrally heated, with colour TV & DVD player, complimentary beverage tray, complimentary toiletries, hair dryer and radio alarms. 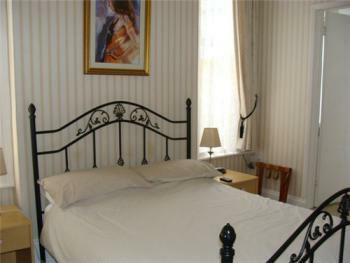 Kingsize Bed & Bathroom with Whirlpool Bath and separate shower cubicle. A Superior Ensuite room which is centrally heated, with colour TV & DVD player, complimentary beverage tray, complimentary toiletries, hair dryer and radio alarm clock. 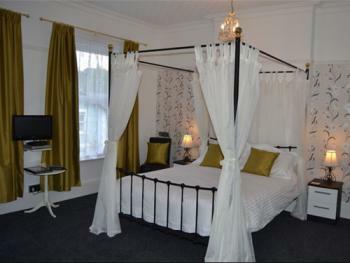 Kingsize Four Poster Bed & double shower in the en-suite. 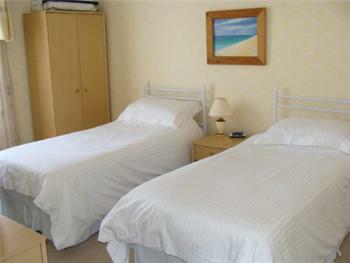 The room is situated on the first floor at the front of the guest house and enjoys views of the Shanklin Downs. 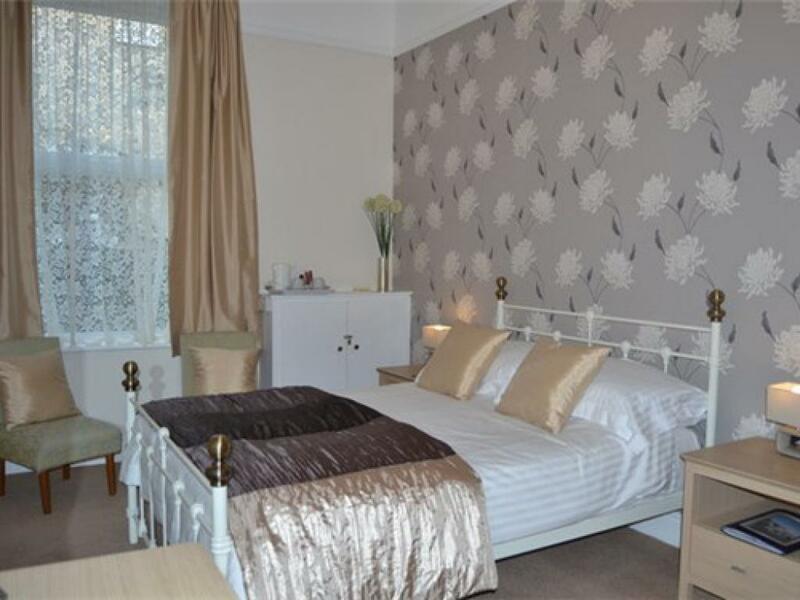 A double room which is en-suite, centrally heated, with colour TV, complimentary beverage tray, complimentary toiletries, hair dryer and alarm clock. Double Bed. A double ensuite room which is en-suite, centrally heated, with colour TV, complimentary beverage tray, complimentary toiletries, hair dryer and radio alarms. Double Bed. Full breakfast included in tariff. 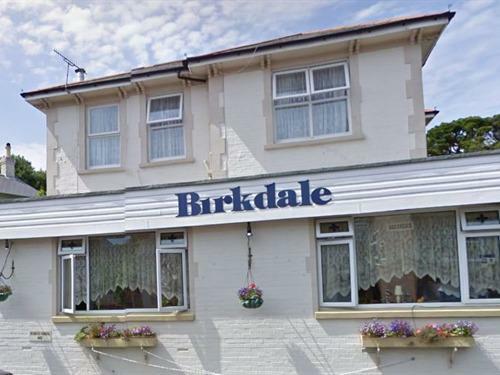 A Twin bedded room on the ground floor, centrally heated, with colour TV, complimentary beverage tray, complimentary toiletries, hair dryer and alarm clock. 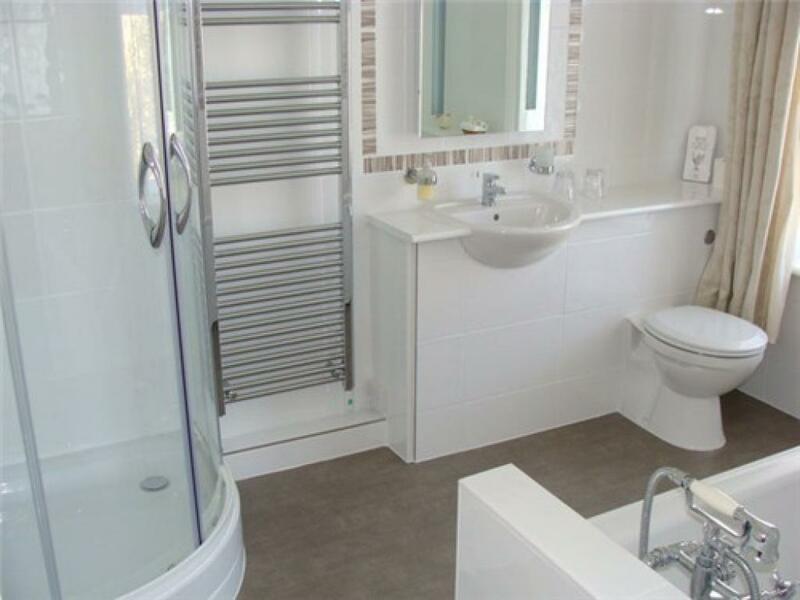 The en-suite has a WC, sink and shower. A Twin room which is en-suite, centrally heated, with colour TV, complimentary beverage tray, complimentary toiletries, hair dryer and radio alarms. Twin beds. There are four steps up to the front door with a hand rail on the left hand side. 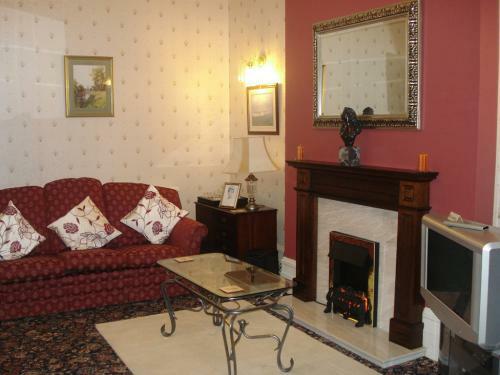 Once inside, there are ground floor bedrooms and the lounge and dining room are on the ground floor. 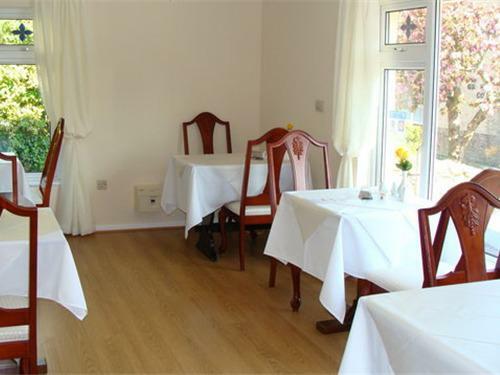 Due to the size of the bedrooms wheelchair access within the rooms would not be possible. A full statement of accessibility can be found on our website. Travel to the island by train couldn't be easier. Catch a South West train to Portsmouth Harbour and from there get the Wightlink Fastcat to Ryde Pierhead. Here you pick up the Island Line train service to Shanklin. You can buy your rail ticket direct to Shanklin covering all costs. Come out of station and walk straight ahead down Regent Street (main shops). At end turn right up High Street by Boots, continue into Old Village and turn right at Rock Shop - Grange Rd. Taxis at station. Catch the Wightlink car ferry to Fishbourne. Please contact us if you would like us to book this for you at reduced rates. Turn left out of Fishbourne Lane and take A3054 to Ryde, along Esplanade, follow road (A3055 to Sandown), A3055 to Shanklin, within Shanklin "the old village" turn right by Rock Shop. Catch the Red Funnel car ferry to East Cowes. 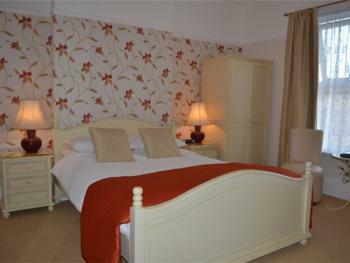 Please contact us if you would like us to book this for you at reduced rates. 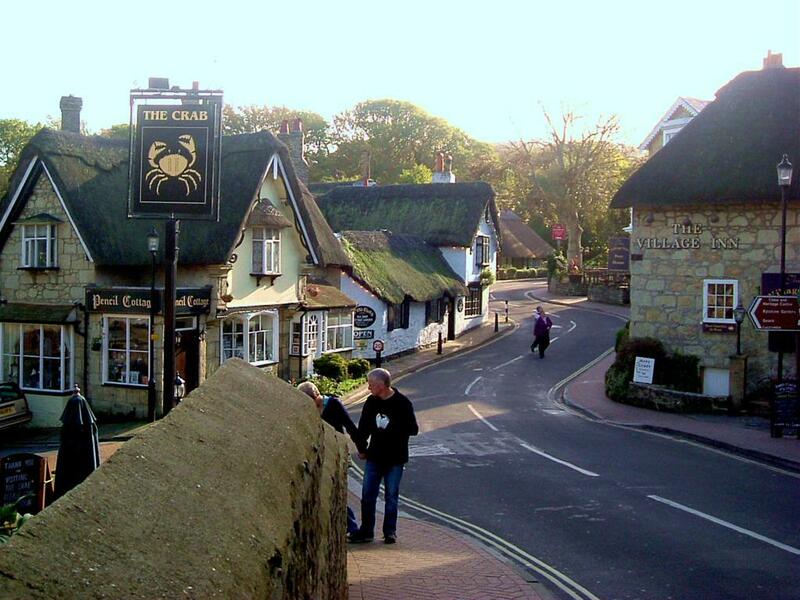 A3054 to Newport, A3020 to Sandown, A3020 to Shanklin, within Shanklin "the old village" turn right by the Rock Shop.